Voted Best Local Installer on AllChecked.co.uk, for many years Omega Lifestyle has become the name you can trust. From the factory Peterborough we install the latest state of the art top of the range pvc-u window, conservatory and door systems. Choose smooth white or grained white or real wood effects and in all colours to suit your home. We also install the latest solar+ long life double and triple glazed sealed units to suit every need from sound proofing to security and climate control. We install specialised double glazed units for conservatories which keep the heat in and the cold out nearly three times more efficiently than normal double glazing. We offer a free design and installation service across East Anglia including Cambridgeshire, Norfolk, Suffolk and Lincolnshire. 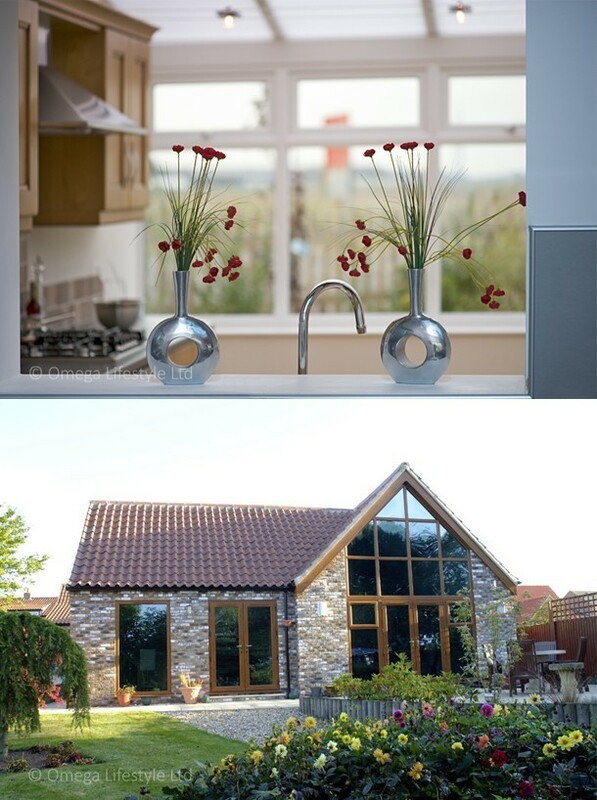 We can work to suit all budgets right up to the latest next generation long life thermal plus frames and glass. We can also help you finance your project with the lowest rate finance available. Save a genuine 30% while our pre-season offers are on. East Anglia including Cambridgeshire, Norfolk, Suffolk and Lincolnshire.